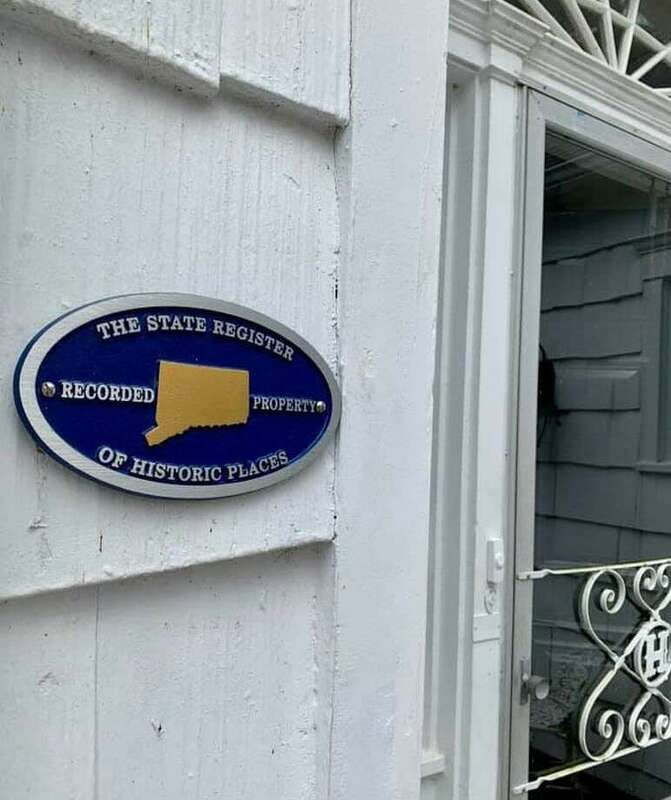 The Harden House Museum at Harrybrooke Park in New Milford was recently recognized on the State of Connecticut register for historic places. The Roger Sherman Chapter, Daughters of the American Revolution will hold a special event at the museum April 6. History will be celebrated with desserts and special activities April 6 at Harrybrooke Park in New Milford. The Roger Sherman Chapter, Daughters of the American Revolution will continue its 125th anniversary celebration with a special program, “An Afternoon at Harrybrooke Park,” from 1 to 4 p.m. at the park. The chapter, which turned 125 last year, serves the Greater New Milford area. Its year-long celebration will conclude with another event in May. Bonnie Butler, regent of the Roger Sherman Chapter, said this month’s event will celebrate the local chapter and the park that has its own rich history. “It’s a beautiful park,” Butler said of Harrybrooke, located off Still River Drive. The afternoon of events, held in the park’s Harden House Museum, will include a sampling of desserts spanning the past 125 years, tours of the museum, scavenger hunts and live folk music by Melissa Schipul. Members of the local chapter will make a variety of recipes from a Fanny Farmer cookbook. Among the recipes will be 1830 clove cake, 1890 true sponge cake, Grandma’s date squares, 1910 war cake, 1930 old-fashioned graham cracker cake, 1930 shortbread cookies, Eisenhower pressed cookies, 1990s death by chocolate and 2000 Texas sheet cake. For $5, guests can purchase a plate to fill with samples of desserts. Traditional teas will also be served. In addition, Bill Buckbee, executive director of the park, will be on hand to give tours of the museum, which served as home to Frank and Elizabeth Harden from 1941-65. Upon Frank’s death, the estate was left to the people of the town of New Milford and to be run by a board of managers. The local DAR chapter was chartered as the ninth chapter in the state on May 18, 1898. Throughout its history, the chapter has provided support to veterans and active Armed Forces by sending goods to deployed men and women overseas, honoring Blue Star and Gold Star mothers and participating in Wreaths Across America; supporting children’s organizations by working with the Charles Merriman Society Chapter, Children of the American Revolution, and creating Valentine’s for veterans with Girl Scouts; promoting historic preservation by maintaining the Washington Oak Tree Park in Gaylordsville and nominating local residents for the National Society, DAR; and ongoing education through literacy programs, essay contests, scholarships and more. For more information, email bbutler5129@gmail.com.